A lot of people have been asking for an episode about nutrition for children, specifically healthy eating and top tips you can use to get the children to eat better. 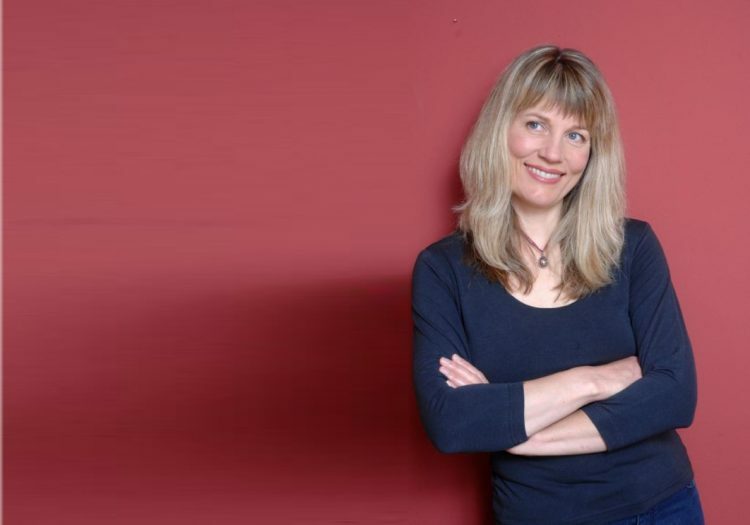 This week we’re speaking with Dr. Carrie Ruxton who’s been a registered dietitian for nearly 30 years. She completed a Ph.D. in child nutrition before working as an academic, industry nutritionist and hospital dietitian. We chatted at some of the main challenges facing parents and children about installing a healthy diet, dealing with fussy eaters and the traditional aversion to vegetables. She also provided tips on how to survive the supermarket trip and we discussed if it is right to use food as a reward or a reprimand. Male: Are you tired of falling off the proverbial fitness bandwagon? 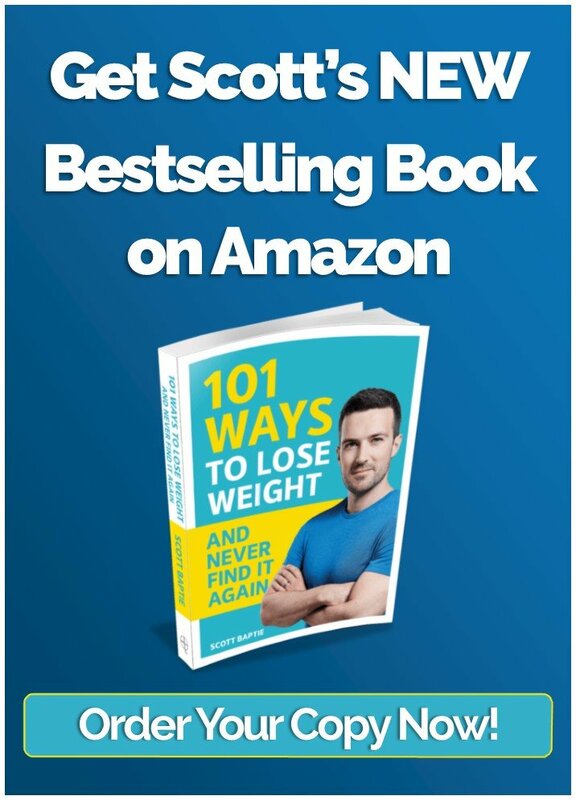 Join us as we share simple, realistic, and above all achievable weight loss advice, based on evidence gathered from helping hundreds of people look, feel, move and perform better. You don’t need to starve yourself or hop on the latest fitness craze. We’ll show you how the smallest change can give you the largest impact. 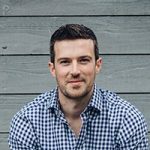 Now join your healthy living host, Scott Baptie, for the Food for Fitness podcast. Scott: You’re listening to episode 105 of the Food for Fitness podcast, brought to you by foodforfitness.co.uk. I’m your host Scott Baptie. And this week we are chatting about something that a lot of you have requested. Anytime I speak to people about the podcast, I always say what subjects would you like to be discussed or who would you like me to get on the show, and I always do my best to see if I can actually accommodate them. A lot of people have been asking for an episode about nutrition for children, specifically healthy eating and top tips they can use to get the children to eat better. We went out and found one of the top experts in the UK on this subject who is actually based not too far away from Aberdeen. She’s down in Fife. And her name is Dr. Carrie Ruxton. In this episode, we’ll be looking at some of the main challenges facing parents and children about installing a healthy diet, looking at being energy needs, dealing with fussy eaters and the traditional aversion to vegetables, surviving the supermarket trip. We’re looking at offering choices of foods whether food should be used as a reward or a reprimand. A whole host of questions all about how can we get children to eat better and top tips. It’s a really, really good episode and if you do have kids and this is something you’ll be interested in, I strongly suggest you get a pen and paper because there’ll be lots of things you’ll be able to note down and try out. Let’s get into it episode 105: How to Help Your Children Eat Healthily with Dr. Carrie Ruxton. Hey Carrie, welcome to podcast. Dr. Carrie Ruxton: It’s great to be here, Scott. Thanks for inviting me. Scott: Absolute pleasure. Let’s hear from you in your own words who are you, what do you do, and why are you still good at it? Dr. Carrie Ruxton: Oh wow. Well, I’m a freelance dietitian. I graduated from Queen Margaret College in Edinburgh and more than 25 years ago. And I did a PhD there as well. In fact, my PhD was in children’s diets in Edinburgh and the influence of socio-economic group. And funnily enough after that PhD, there was only one child out of 136 who was overweight. Of course, it’s very different today. And then after that, I worked in academia, and industry, and then wound up being freelance. And I’m now based in Cupar in Fife. And I think I’m so good at what I do. I was speaking at the Dietetic Conference in London yesterday and a lot of the younger dietitians came up and said, “Oh we read your articles.” So it was absolutely lovely to get some feedback because as you know being a communicator yourself, you put things out there and you often don’t get feedback that people have read them or listened to them. That was really good for me. Scott: Yeah, fantastic. I of interest when you mention those–there’s children that you were looking at in your PhD, how many of them were there in your sample size? I mean you said only one was overweight. Dr. Carrie Ruxton: Yes, I had 136 in total from 5 different schools. I had two in fairly affluent areas, two in areas of multi-deprivation, and one was sort of in the middle of that. And as I see, there was only one child who was overweight. And it’s just such a difference today when we have up to about a third of children of primary school age can be overweight or obese. Scott: Yeah that’s incredibly different. Okay then. What do you think then are some of the main challenges that you know face both children and parents when they’re trying to install a healthy diet? Dr. Carrie Ruxton: Yeah, the challenges are very much societal because if we think about the old days, when I was young, I’m over 50 now. We walked a lot. We ran around a lot. There weren’t so many cars. Children were much more physically active. There was much more organised sport at school and in the community. Of course, we ate a lot. And I remember and at school having 2 course school dinners with sponge pudding in custard, and all the things that perhaps dietitians would disapprove of today. And it seems that children have changed their lifestyles to an extent where they’re very much reliant on electronic entertainment. And they’re sitting for long periods of time. They’re sitting in cars to go to school. They’re sitting in school. There’s less sports in school. They’re looking at their phones, and their iPads, and their TVs, and spending the evenings indoors. And so they’re not burning off those calories and yet at the same time, we’ve had changes to the way that women work. Women are now less likely to be found in the home looking after families which is a good thing and a lot of them who wish to work are out there working. But that means that overall, the family has less time for buying food and for preparing food. And the downside of that is you get a lot more processed and packaged meals. You get more kind of indulgent type foods. The price of food has come down as a proportion of income. And you might say, “Well, it doesn’t seem like that when you go to the shops and look at the prices.” But in the old days again, people were spending something like even up to 30%-40% percent of their income on food. And now that is down to I believe it’s below 10% although I’m happy to be corrected. But so the price of food as a proportion of our income has come down and that means the treat foods which people may be used to have once a week, they’re now having them more than once a day. And we know that adults and children often get around about a first to a quarter of their daily calories from things like biscuits, cakes, confectionery, soft drinks, alcohol in the case of adults, and crisps and nuts. These are again, foods that you don’t really want to have them all the time because they’re less healthy. I think the challenges are myriad and which is why it makes it really difficult to come up with a fix so people see what do we do. But because the causes are so broad and are to do with societal changes, and changes in the way that we live, there isn’t one answer to these problems. Scott: Yeah. That’s very interesting. Then it sounds like meeting children’s energy needs isn’t really going to be problematic because of the general abundance of energy-dense, high-calorie foods that they’re probably going to be exposed to anyway. But what about looking at the sort of macronutrient and micronutrient requirements of kids do-and especially if you look in maybe families where they are you know, they’re quite into health and fitness. And some of the go to macro there is “Oh, let’s eat more protein.” What about when it comes to children, is it just the same kind of idea of let’s just try and use the expressions like eating the rainbow and five-a-day fruit and veg and aiming for balance or would you say that you know we should try and having more protein so that the fuller or anything like that. What’s your take? Dr. Carrie Ruxton: Yeah, there’s a lot of things here to unpack, Scott. The first is about energy levels. Yes, we still do have some undernutrition in this country where we have skinny, little kids. They are not growing effectively but they are now increasingly in the minority. And so for children that are not thriving so well, not growing so well, perhaps even not eating correctly and at this–actually, I now have two friends who’ve got daughters with eating disorders. Even though we have a lot of children who are overweight or obese, let’s not forget those kids even though it is a small proportion who are either not thriving or who have eating disorders and are on the on the underweight spectrum. And that’s almost like a worth it, you having a different program with somebody who’s expert in that area. But for the rest of us, we either are the majority of children who are of a normal weight and the minority well even though it’s a large minority about a quarter to a third who are overweight. What is the best thing? And I would such a–culture as calories that count. Not just calories for the sake of it and that includes all the foods that I mentioned before what we might call treat foods or discretionary foods, the cakes, biscuits , confectionary, soft drinks, desserts, ice cream, all very nice but however they are not very rich in nutrients. You won’t see an awful lot of high-quality protein, vitamins, minerals, good fatty acids like the omega-3s which are important for brain health. You won’t see a lot of these nutrients in these foods. What you will see is a lot of fat, and carbohydrate, and like starchy ingredients as well as sugar and salt. And they taste great but they’re not very nutrient rich. And don’t forget that until the age of about could be 19 or 20 kids are constantly growing and developing, and so they have higher needs than adults for a protein and for these nutrients. What do we do about that? Well, it really depends on the age of the child. From a very early age, the goal is really to try and get a wide variety of foods. You may not manage to achieve a fibre D like an adulthood in terms of the amount of fish and vegetables, but you need to kind of scale it down to a small child. I always say that a portion of fruit or vegetables is about the size of a person’s fist. If you’re five, your fist is going to be a lot smaller than say your 19-year old son. And you know so the proportions of fish and veg need to kind of vary in terms of the age and size of the child’s. But you can still get the fibre D in there and encouraging variety, trying to get children away from the kind of the safe options, you know the kind of spaghetti hoops, and the mashed tatties, and a lot of children are a bit fussy about chewing meat. They’re a bit fussy about fish. They could be fussy about green vegetables but really working hard when they’re in kind of preschool primary school to get that variety. And they are and encouraging them to try as many things as possible. When my son was five, he wouldn’t eat strawberries and I was like, “Come on. Strawberries are lovely.” I actually had to bribe him with fifty pence to get him to try a strawberry. And then once he tried it, he said, “Actually, that’s quite nice.” And he now eats them. It’s using a variety of ways to try and increase that repertoire and to stop them closing down to things like you know white bread, spaghetti hoops, banana, you know the very, very safe options that are easy to chew. They’re not brightly colored. I mean we all know kids like that. As kids get older, I have noticed that teenagers kind of, depending on their gender, go off in different directions. The girls often go down a route with their worry about the weight. They start skipping breakfast. Maybe girls at school are vegan or vegetarian. They start to explore different things. They maybe get into clean eating which is a massive bug period [?] of mine. You know so we’re trying to get our teenage girls to keep that repertoire going and not to start giving up food groups. And if your daughter does say you know, “I want to be vegetarian or vegan”, really work hard to try and make sure they’re not missing out in nutrients. It isn’t simply just about taking that piece of meat off the plate and eating the other things around it. You’ve got to think really carefully about your diet once you start being restrictive. And today’s girls in fact have the worst diets when it comes to vitamins and minerals. Huge swathes of them you know even up to 40, 50, 60 percent can be low in very key nutrients for health and development, and the future of their brain and bodies, things like magnesium, iodine, iron, zinc, vitamin D. I think that all teenagers should just be routinely given a vitamin and mineral supplement. And if they don’t eat any oily fish, give them cod liver oil or fish oil capsules every single day as well because they’re going to be missing out on these nutrients. Boys, on the other hand–and I haven’t a boy who’s 17, they get into protein and they eat masses of it. If you have a boy that’s into the gym and into the protein, please try and curb their obsession for getting as much processed protein down their necks as they can. A lot of boys are having the protein bars or having the protein shakes. They are probably getting through I would say about 150 to 280 grams of protein a day which is just far too much. The body cannot metabolize that protein, so try and get them to eat the protein from real foods, things like you know chicken. I mean red meat nowadays is actually so low and fat compared with 20, 30 years ago. There’s nothing wrong with a beef stir-fry, pork stir-fry, and a grilled bit of leg of lamb steak. It doesn’t always have to be chicken. And eat the real foods and try and minimize these very expensive hyped-up protein products which I don’t really feel are appropriate for young guys unless they are doing really serious gym work under supervision. Scott: Yeah. I think there’s quite a few things that–yeah I’d like to mention about that one. When it comes to multivitamins, and cod liver oil, or omega-3 oils, do you just recommend just off the shelf stuff that you get in Tesco, or anything like a specific formulation for teenagers, or is it just your yeah your bog standard kind? Dr. Carrie Ruxton: Bog standard is fine. And there’s a range of supplements that you can take because people shouldn’t be needing to spend a large amount of money on supplements. You can get your bog standard multivitamin in the supermarket. Very inexpensive and that will give young people 100 percent of their recommendation, so it’s like a belt and braces approach because obviously you want them to eat a healthy balanced diet as well. And supplements should never replace your diet. But it is giving them enough to meet their requirements. And when it comes to omega-3’s, obviously the cheapest option is a bottle of cod liver oil but a lot of kids just might not be able to handle that. You can try and mixing it into orange juice. You know a teaspoon of cod liver oil mixed in with a glass of orange and a net bag [?] and you wouldn’t really taste it. But there’s also the capsules. I think the important thing is to look on the package for the DHA and the EPA. When added together, this one to be as close as possible to 400 milligrams a day. Don’t look at the total omega-3’s or the total fish oil. That figure will be a lot higher. Look for the DHA plus the EPA added together and try and get something around about 400 milligrams a day which is what the recommendation is. Scott: Great. You mentioned then obviously if–ideally, we would get them eating more fruits and vegetables and nutrient-dense foods anyway, but for those who are you know quite fussy and that’s going to be a challenge for them, what are some of your top tips that you know we’ll help sneak vegetables into foods or just anything again that you’ve seen–what maybe with younger children about you use the 50 P to try a strawberry or anything else along that lines, that’s what well for you? Dr. Carrie Ruxton: Yeah. Well again, it depends on the age of the child. If you’re thinking about preschool children and young primary age, it’s all this kind of we call it a neophobia which is a fear of the new things. And it’s really about parental example. There’s no point in sitting, stuffing some pizza into your mouth and then asking your child to eat some salad. You should be eating these things yourself and it’s going to encourage your children. You know when they’re very young, let them pick things off your plate. I mean if you’re sitting, eating something and they’re “Oh, what’s that?” Just say, “Yeah. Try it. Have a piece.” And also try and encourage them to try it more than once. A child might eat something once and say, “Oh no. I’m not too sure about that.” And then try it again and try it again. There’s some research from America saying you have to try things between six and eight times with children under the age of five before they accept it. Don’t just give up the first couple of times. Keep trying. And keep trying. And keep trying it. And also give them some really positive feedback. If you hand your child something with a big smile on your face and say, “It’s really good. You know try it. I enjoy it. I’m eating it and I’m enjoying it.” This can somehow take the fear away whereas if you start to give it to them and screw your face up, it actually can have a psychological effect on them. And also if somebody else in the family that says, “Oh broccoli. I always hated broccoli or whatever.” This this really can affect the way your child enjoys their food. Just take care of these throw-away comments that others in the family might make. And I always found a good way with my own kids getting them to eat vegetables is they’re always starving after school. When you’re either walking them home from school or if they’re in the back of the car or even as soon as they get in the door and they will be want to watch a bit of telly while you’re making the dinner, give them a plate of raw veg. I was used to chop up little tomatoes, and carrot, cucumber, and maybe red and yellow peppers, and just put them in a bowl and stick them under their nose while they’re either in the car or in front of the telly. And they just absent-mindedly nibble them, just sit nibbling. And then that’s how that they’ve had their badge. At the table if it’s maybe peas or broccoli or whatever, seek some other plate. If they make a fuss about it, do not worry. They’ve already had one or two portions that evening. You don’t need to hassle them about it. That’s kind of one thing. Another thing to do is to make things like juice inside bowl where you can stick veg into it. Things like onions, canned [? ], tomatoes, they account towards your fibre D. You can also chop up peppers very small and put that in–there’s lots of ways that you can sneak a bit of veg in. When you’re making mashed tatites, make them 50/50, either turnip and tatties, sweet or carrot and tatties mixed together, or even butternut squash. Soups are another way and kids do often like the bits in soup. If you make soup and vegetables and then whiz it all up or if you if you don’t want to make soup, there’s also [inaudible][00:19:21] options as well. But soups a really good way of getting veg into children as well. And also a glass of fruit juice or a smoothie in the morning but take care of the portion size because you don’t want to go over about 150 mils. That’s like a small glass and because of the sugar content. But a glass of fruit juice every day counts towards your fibred D. Make sure it’s a hundred percent and it could be concentrate or not from concentrate. You don’t always have to go for the expensive and chilled version. The ambient one is absolutely fine as long as it says 100 percent fruit juice on the label. Scott: Right. Awesome. Fantastic advice. What about offering children choices when it comes to vegetables? Rather than just saying right you’re getting it with carrots or this is or putting in front of them, is there anything to be gained from seeing right what kind of vegetables would you like for you kid? One piece or would you rather have carrots or broccoli? Dr. Carrie Ruxton: Yes. I think that is a good idea and with older children is good to get them involved in food preparation and cooking because often that encourages them to try different things as well. Get them you know–if a child is over the age of about 13 and they’re fairly competent, they can make things like spag bowl and you know scrambled eggs, you know just things like that. I think if you can get them in the kitchen helping and it could even nibble things while they’re helping. If you’re chopping up a few carrots and they go and nibble a few on the way, then that’s good. Yeah lots–so choice and options and fruits and veg is really useful when you’re a family because obviously you’re very conscious of waste and the cost of food. If you’ve got fruits and veg things like frozen peas, you can get the sweet corn and carrot mix. You can get green beans frozen, then you only need to do as much as you need at that time and you’re not wasting the food. Scott: Awesome. What are some of your favorite recipes that you find that kids love to get involved helping with? Dr. Carrie Ruxton: Well, I think it’s the kind of spike ball and chili con carne and I make it without chili powder. But I do put in chili beans in and I think as well–and even omelets with bits of ham and tomatoes and peppers in it. They could be like that, almost like a Spanish omelet. They like stir-fries. That’s very easy to make. They’re not so good on the heavy stews but they mainly like kind of the stir-fries and even just things like you know chicken fajitas as well as quite fun as well because you can buy these for heater and packet mixers that do the sauce and the spice and you kind of cook up the chicken with them. And then you get the tortilla wraps and a bit of salad on the table. And everyone kind of pick and mixes and helps themselves. Kids love that sort of thing. They love having food laid out in front of them almost like buffet style, where they can have a little nibble of everything. That really encourages them to eat. Scott: Yeah, I used to love making fajitas. That was one of the ones that I used to always cook. And actually, it started because of advertising and influence on TV which then leads on to the next point of you know, what’s your take on these products that are heavily marketed towards children and food advertising as a whole? Dr. Carrie Ruxton: Well, they’ve shown us a study in university that food advertising definitely affects children’s perceptions of the food and what they decide to eat. We know that children will be drawn to confectionary if they see confectionary heavily advertised. And it isn’t just TV, Scott, nowadays because if they’re playing games online, the online games can have adverts attached to them as well. These poor kids nowadays are exposed to adverts almost constantly. For me the adverts tie in very nicely with the idea that we should be limiting screen time anyway because it’s not good for kids just to sit for hours with a screen. Not only are they inactive and not doing something else, it’s very passive entertainment. They’re not actively involved in it. They’re just sitting, looking. And at the same time, they’re being approached by advertisers. You don’t know what they’re seeing. It’s really at the mercy affair of the TV companies and the game manufacturers what your kids are seeing. If you have, particularly for younger children and a limit on the screen time, you’re not only limiting their sedentary activities, but you’re limiting their exposure to these adverts. Where we go out and about, of course, there’s all these promotions. And I think promotions are just as influential as adverts on telly and on iPads. When you go into shops and they’re offering you 25% extra two-for-one meal deals, if you think about school kids going downtown maybe looking for a sandwich and they get a can of fizzy drink and packet of crisps through an end with that deal. The way that manufacturers and retailers present food and in the retail environment can have a major influence on children and that the meal deals that they set up as well. Yeah I do feel quite unhappy about that and I’m hoping that there’s something that we can deal with in Scotland through different policies. Scott: Yeah. And yeah–well, you mention go into the supermarket. What are some again some of your tips for actually surviving that trip to the supermarket because I know if you take kids with you and they’ve seen stuff that they’ve seen on TV, they’ll just want to put it in the trolley or they might be attracted to the bright packaging or the smiley faces. Again, things that are actually advertised for them. Do you just, you know did you try not take your kids to supermarket or did you have any little tricks up your sleeves that keep them occupied so they don’t try and sneak things into your trolley without you noticing? Dr. Carrie Ruxton: Yeah. I mean for one of the big things for me is just do your shopping online because it’s not any more expensive and you can ask for it without bags. It’s not like you’re using up loads of bags. I do my shopping online once or twice a week and the good thing about shopping online is you prepare your meal plans. You say, “Oh, Monday, we’re going to have meats. Tuesday, eat salmon. Wednesday, eggs. Whatever.” You kind of plan what you’re gonna have for the week and then you order those ingredients that you need and if you only do it once or twice, then you’re not going to be tempted by all the other stuff because you’re right. You know you go into the supermarket particularly if you’re hungry as well, you go in and, “Oh, look at that. Well, that’s interesting.” And so you buy all these different things. You then come home. You think, “Oh no. What’s my plan for the week in terms of meals and you’ve got this kind of random lot of stuff which you haven’t really thought through so you might end up throwing away more food things like bread and so on. I actually think the online supermarket shopping is the best way to cut down on food waste, to maximize your shopping trolly so you’re not spending more than you need, to avoid temptation, the kids then don’t get tempted. I think that’s a really good thing. If you can’t do that, go ahead with a shopping list and try and get the kids to run off and find the things on the shopping list for you particularly if they’re a bit older. And keep them busy finding all the tins and the–you know the veg and the packets or whatever. Keep them occupied. A lot of supermarkets now don’t have sweets at the checkout which is great. If you do which I think they should change and–but I think it’s about just sort of big quite strict. And maybe letting them have one thing when they go–you know if they’re really if they’re the kind of kiss that will pester and pester and pester, agree what they’re going to have before you go in. And then get them to help and then they get that one thing at the end, just so they don’t keep chucking lots of stuff in the trolley. Scott: Yeah. That’s really interesting about food waste because I used to be a huge advocate of online shopping as well. And I used to find amazing that people didn’t just do their shopping online as a default for that reason that somebody will actually take into your kitchen and it only costs a quid or free or whatever. But we–it’s just the two of us, we don’t have kids yet. A couple of months ago we were in Norway for three months and the costs of food there made us change our shopping habits because I used to just do this a big Tesco weekly shop we get delivered to the house. But when we’re in Norway, because the meat–which is food in general is so expensive. We’re being way more thrifty with what we’re buying and buying a lot less and only buying for that specific meal and not just buying you know chicken just to have in the fridge in case I need it. And since then, we’ve kind of taken those habits on board since we came back here. And rather than doing the weekly shop again, because I find that when I was doing it as well, I was adding a lot of stuff because again, it’s [inaudible][00:27:03] us to try and take up to that threshold or when I was on you know to get free delivery, it must be 40 quid or something. But then I was also on my favorites and I’d be like, “Oh. I need some of that.” and I was just adding lots of stuff and I found that actually–but for me doing that it resulted in more food waste. Whereas now I just nip up to Lidl about three times a week and buy just what we need for the meals that are coming up, and also just having a hand basket there means I don’t have the trolley and I can put a lot of stuff in. I say–found the opposite works for me but generally, I would say yeah, online shopping I think is the way forward. Dr. Carrie Ruxton: Yeah, you’re right. If you’ve got a bigger family, then you do need more stuff anyway. And also if you’re trying to–I mean even if you’re a single person and you’re trying to budget, you might want to buy a stuff for a few meals and then freeze things as well. Freeze things into different portions because if you just buy things in very small amounts and if you’re on your own, that can be quite expensive as well. You know if you go and buy a bag of carrots, it’s very difficult just to get one carrot. Sometimes could be more expensive that we–so you know it’s not it’s up to the individual. If they work well budgeting wise and waste wise just to buy a meal at a time and they’ve got the time, then that’s great. For busy families or people that want to plan ahead, then quite often doing a bigger shop might be the way forward for them. Scott: Yeah. What’s your thought on using food to reward or reprimand so the old you know freezes over, “Oh, if you don’t eat your veggies, you won’t get any dessert.” Or the guilt-tripping of, “Oh, there are starving children in the world and you’re not going to finish your tea” or if you don’t behave, you’re going straight to bed with no tea.” What’s your take on food as a reward or reprimand? Dr. Carrie Ruxton: Yeah. I mean the research shows that it has a very negative effect. It’s not worth doing at all. Not to see that you then just let children come and eat one mouthful and then leave the table. I think that particularly with younger children, you do want to encourage them to eat but not necessarily to clean their plate. And the way around that is to get them a small amount to begin with. If you’ve got a little three or four year old sitting there, don’t give them a large portion and then expect them to clean the plate. Give them a space, small amount and then if they eat it all, they may get more. You can always–I mean if we go to other countries, for example, some of the Asian countries, they wouldn’t dream of loading up their plates to the extent that we do in this country. They would have small amounts and then they would eat it. And then, they would take a bit more, a bit more rice, a bit more curry, or a bit more stir-fry and they were just kind of eat as they go. Whereas in our country, particularly when we go out to eat, they seem to want to have a mountain on our plate. And for some kids, that could be really quite off-putting. Get some smaller amounts and let them let them finish it and encourage them to eat. Also with my kids, you see I didn’t want them eating their dessert after they’d only had one mouthful of their main course. I used to say to them rather than say you know you don’t get your pudding if you haven’t eaten your main course, I used to say, “Well, you’re obviously not hungry enough for anything else because you haven’t eaten what’s on your plate.” It was more to do with the order of food. You know this comes first and this comes second. Nothing to do with its dessert, it’s delicious or anything like that. It was just simply things that came first. And if you eat all those and you were still hungry, then you could have something that came second. And that seems to work quite well. You know my children will eat their main courses and we tend to have things like you know yogurt, or after yogurt and fruit, and ice lollies. Ice lollies are actually a bit of a godsend because you can’t want something sweet but you don’t necessarily want them to be having ice cream and things like that every single night. But ice lollies are a bit of a treat but they’re really not too fatty or you know they’re just like water. My kids absolutely love ice lollies and that’s a real treat for them. Scott: Yeah, I think when going out for dinner, I really wish that over here we had more of the American culture. In the sense of not–of the American portion sizes, but on the acceptance of the doggy bag or you know taking it away in a box, because anytime I go to America, I love that. If there’s anything left on my plate, it’s totally you know socially acceptable to ask for a box and take it home and have it for lunch or dinner the next day. And it’s just–if you did that in a restaurant here, I think some would oblige but I think you would get a funny look. It’s almost seen as, “Oh, they’re asking for our doggy bag.” It’s–I think I find it a weird one. Dr. Carrie Ruxton: I just do it anyways, Scott. I always ask for doggy bags even for pizza. You know they have–the kids haven’t eaten half their pizza, it just gets taken home. You can have it for lunch. Yeah, just do it. You know I hate wasting food. I go on and on about it at home and I really want people just to kind of eat what they’ve got and not be constantly looking for something new. And it definitely does work. Scott: Yeah. Other than taking home leftover pizza for a lunch for the next day or anything like that, what are some of your favourite lunchbox or snack ideas that actually get in? You mentioned before the vegetables, the crudités style, anything else that you think that you could sneak into a lunchbox that’s usually quite popular and this sort of divi lead dunker[?] boxes – I seem to remember that was. I don’t even know if they still exist, I mean this is going great about to when I was in school. They were a really popular one. Dr. Carrie Ruxton: Yeah, I think there’s nothing much wrong with a sandwich with something like that your kids like, you know a little better than that. There’s a lot of these cheese slice, cheese packets now that have decent cheese in them. You know it isn’t–it used to be that the sliced cheese, the ready sliced cheese was always a bit dodgy and rubbery looking like the stuff you might get on your McDonald’s burger and the kind of blocks of cheese which nobody’s got time to cut in the mornings when you’re in a rush, where the nice cheese is. But I’ve seen things like Edam, Jarlsberg, you know they’re already ready slice and there’s actually really nice quality cheese so I would give my kid a sliced cheese sandwich and tried to either have wholemeal bread or if they won’t go for that, half and half and then kind of work up to the wholemeal bread. And even if yesterday, the crusts off the wholemeal bread, you can quite often get them to eat it. Gives them a little bit of veg on the side so again, I’ve chopped off the tomatoes, cucumber, carrots into little pieces. Kids love little kind of nibbly finger food. Quite often for things like an apple, you know a whole apple will either be left or throw into the bin or used as a food bowl. But if you can chop things off and wrap it in a little plastic bag or something to keep it fresh, if it’s ready chopped even things like grapes, so children love these finger foods. And you know a little pack of raisins or if you are giving them anything kind of confectionery wise, always just give them one of the tiny little multi-pack things. You know these kind of little tiny chocolate bars. They don’t really need anything big. I mean confectionary nowadays quite expensive – you know 80 to 90 pence for a bit of confectionery. They probably be happy with the third of them. Try and keep the treats, down to an absolute minimum and watch those portion sizes and try and make sure that they’re being offered a variety and particularly lots of fruit, and vegetables, and water. They’re quite happy with water. We don’t have to give kids juice all the time. Juice for most people is the diluting juice but why not try and dilute it weaker and weaker and weaker until they tolerate water. Then, you know you can actually dilute it quite a lot and it still looks the color or go for the sugar-free option. But here again, just try and dilute it down and down until you can get them to drink water. Scott: Yeah. That’s the diluting juice. One of my best parts as Rachel, we always have a battle anytime either of us I’m making juice for other because she likes, there’s like a setup but I have my own sort of extremely thin like you mentioned. We always find that the other one makes a disgusting squash if you’re ever getting a juice. Dr. Carrie Ruxton: I know. That’s right. One of my daughter’s friends comes around for tea now and again. Apparently, she only drinks juice. She will not drink any water at all, which I just think is such a shame. I said to her, “What you do if you’re really thirsty? You’re ride on a boat and you can’t get any juice?” I mean you’ve got to be able to drink water. She believed it. It’s nice to have a juice now and again but I think a lot of us think, “Oh, we got to give the kids juice every single time.” No, they really will drink water if you encourage them. Scott: Yeah. Kind of backtracking a little bit but you mentioned there about cutting off the crusts. Are there any advantages other than you know minimizing food waste to you know making them eat the crust rather than just cutting it off? Dr. Carrie Ruxton: Yeah, I mean it’s–obviously you want them to get to the stage where they just eat it because it’s just silly throwing away the crusts. There’s absolutely nothing wrong with it but I was thinking about when you’re trying to get kids off the kind of mother sprayed and onto something that’s got a wee bit of fiber in it. It can be a little bit resistant and so if you take the crusts off a wholemeal bread, nice soft wholemeal bread, you can often get them onto the higher fibre option. And children are lacking fibre so much. You know it’s one of the things that’s never talked about is fiber and roughage. We’re always happy to talk about fat and sugar and salt but fibre is the hidden deficiency in our country. We’re only having about a third of the fibre that we need for a normal digestive system. And there are so many people who have digestive problems whether it’s bloating, constipation, and you know kids in particular can often suffer constipation. We really want to get the fibre in there. It’s not a popular thing to talk about. Could be a bit embarrassing. But things like having a higher fibre, breakfast cereal things like porridge, wheat bags, and brown flakes, and sort of a bit of fruit on it, you know to pepper up a little bit, having the whole-grain bread. Even things like a whole-grain rice and you can get rice in these microwavable packets nowadays, so that you don’t have to boil up the whole grain rice. You can just microwave it and kids really will eat it. And it’s often a lot tastier than the white refined stuff. Scott: Yeah, coming up in time. I feel like you’d keep going up with so many other things I want to ask you about. But I’ll ask you about external influences. Are there family members who may be interfering with what you know if you’re trying to set some good ground rules, that may like to interfere with treats or grandparents, and nannies, and uncles and so on? And how do you find that balance between installing good habits with the kids but not going to the extreme and that you’re banning foods because I remember I had a friend when I was younger and he came round and he wasn’t allowed to have sugary cereal or he wasn’t allowed to have sweets or something to have ice cream and it was all–it just seemed even at that stage you think that’s a bit restrictive. Could that lead to some kind of disordered eating as they grow older if they have that level of restriction even when they’re out with the house? Dr. Carrie Ruxton: Yeah. I absolutely agree with you, Scott. I don’t see the point in making foods good and bad. What we need to try and instill in our kids’ minds is that is the idea of balance. And I think children just naturally get it. When you show them the different food groups and see you know a healthy body and brain needs things from all of these groups and it–I mean we know that if we were just eat vegetables all the time and nothing else, our bodies would be lacking. Any imbalance where there is too many sweets or to a few of the other foods in the diet like you know meats and dairy and so on can increase an imbalance. We want to get the idea of balance. We want to say to kids, “You want to have most of your diet healthy and varied.” And of course if we’re hungry and we’re active or physically active, there is some room for these discretionary fizzy, street foods that we all enjoy but as keeping them in small portions and not having them all the time. I think is wrong to ban children completely from having these things, but really just try and instill with them the idea of balance. And with grandparents, rather than sort of getting anxious about seeing “Don’t give them this and don’t give them that.” Why don’t we suggest what we can give them? See you know if they are hungry after school and grandparents are gone, why not give them this this and this and you might even want to just send the child off with her, with something to take to granny’s. You know they could nibble in the car or nibble at granny’s or encourage granny to buy certain things that you want your kids to eat. I think these are the ways of doing it. Well, if you ban things, I think you make them more attractive. Scott: Yeah. And it’s the same whether that’s for kids or adults, the whole idea of complete restriction is never the right–but I won’t say never because I don’t like again using complete exclusive language like that. But generally speaking, saying never have a food is not going to lead to a healthy behaviors. Looking at moderation and balance and all the stuff that we’re telling people whether they’re dieting or just trying to eat healthier and it’s good to see that that’s what you’re telling people should say to children as well. Dr. Carrie Ruxton: It’s giving the kids the reason to do it as well, so kids obviously want to be good at sports and you know older children are interested the way they look their hair, their skin. Don’t just say eat it because it’s healthy or because I say so. Say to them you know you’re gonna run faster if you have a healthy balanced diet, you’re gonna feel better, you’re going to be more energetic, your skin’s gonna look great, your hair is gonna look great – lots of positive reasons why they want to have these things. Scott: Yeah, okay. Last question then unless–or penultimate penultimate question before I ask the final one. And I ask everyone who comes on the podcast this one: and what’s the biggest thing that you know now that you wish you knew when you started out? So if we define starting out as fresh face of uni–you know, dietetics degree, what do you wish you could go back and tell yourself no? Dr. Carrie Ruxton: I think that I would not be so anxious to please and to rush off and do everything that people ask me to do. Now that I’m more established, I tend to think when people ask me to do something, ask me to do a job and I push back on them a lot more. I’ll just say, “Is that what you really want and can you explain it in more detail?” And I’m not afraid to question when people give me jobs to do and I think when you’re young and you’re starting out, you don’t want to ask those questions, like you know in case people think, “Oh, she didn’t understand or she does she can’t do it.” You want to obviously show that you’re competent and so you go yes, yes, yes, yes, yes, all the time. And then you sometimes end up thinking, “Oh hell, what exactly did they want?” you know. And when I was younger and I am writing an article that someone asked me to do and I just didn’t achieve what they were expecting. And I handed it in and they weren’t happy. And it was it was gutting to do that, but now when people even ask me to do things, I query a lot more, I push back a lot more and then hopefully because of that, I end up doing a better job. Scott: Excellent. Okey-dokey. Then last question is: where can the listener find out more about you? Are you active on social media or do you want to send them onto your website? Where can they go if they think what– I don’t think if they think, I think they will think that that was a fantastic episode and they’ll been scribbling down notes and it’s given what to take home. They will definitely want to know more about you, so where do they go? Dr. Carrie Ruxton: Yeah, well I’ve got a Twitter handle which is Dr. Carrie Ruxton and I tweet quite a lot of stuff about nutrition and diet. I’ve also got a webpage – nutrition-communications.com and I do blogs probably maybe about once a month. I’m not terribly active on that but I will I will write blogs on that and also tell people about my latest articles. I write quite a lot for a patient.info. And in fact, that’s a really good website to find out more about health as well. Scott: Perfect. Well on behalf of the listener, thank you so much for coming on and giving up your time. I’ve really enjoyed our conversation and I–yeah like I said, I think they’ve got lots from it. Dr. Carrie Ruxton, thank you very much. Dr. Carrie Ruxton: Thank you, Scott. Scott: So that is a wrap on another episode. Hope you found that one helpful. 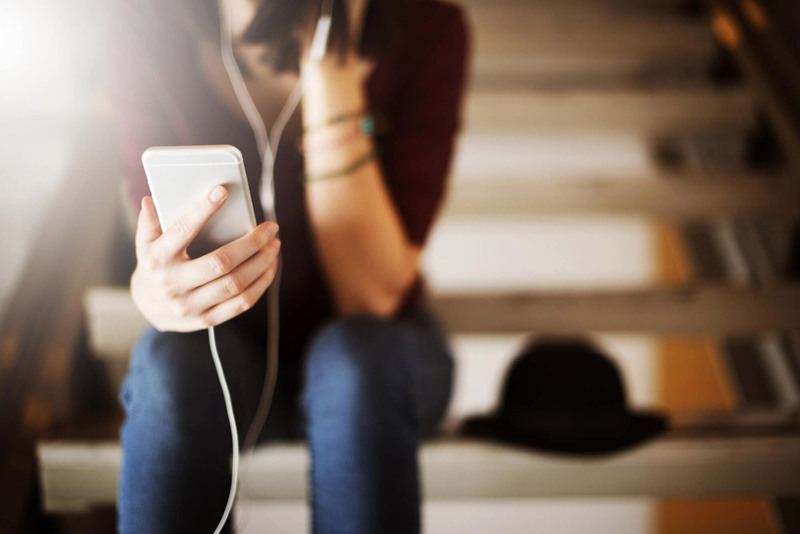 And if you are a new listener, then don’t forget to subscribe so that you don’t miss out on future episodes and have a listen back and you’ll hear all the expert interviews with previous guests. And if you’re a regular listener, then head over onto iTunes or wherever it is you have to listen to this, and leave a 5-star review because that will help in the rankings. It’ll get more people listening to and it means it gives me more clout for when I approach guests and see can you come on the show. Speaking about getting more people on the show, if you have any suggestions of guests or again topics like I mentioned at the beginning, please just reach out to me so you can contact me anywhere on social media. Just search for Scott Baptie and you’ll get me there. Or if you want to send me an email, just drop an email to [email protected] And yeah, there’s no such thing as a stupid suggestion, so let me–well, I suppose there is but you know what I mean happy to hear any suggestions that you guys and girls have. Also, this has nothing to do with nutrition for children but if we’re looking at your own nutrition and if you are trying to lose weight or get healthier or build muscle, then I can help you. All the coaching that I do is inside our membership group which is called the inner circle. 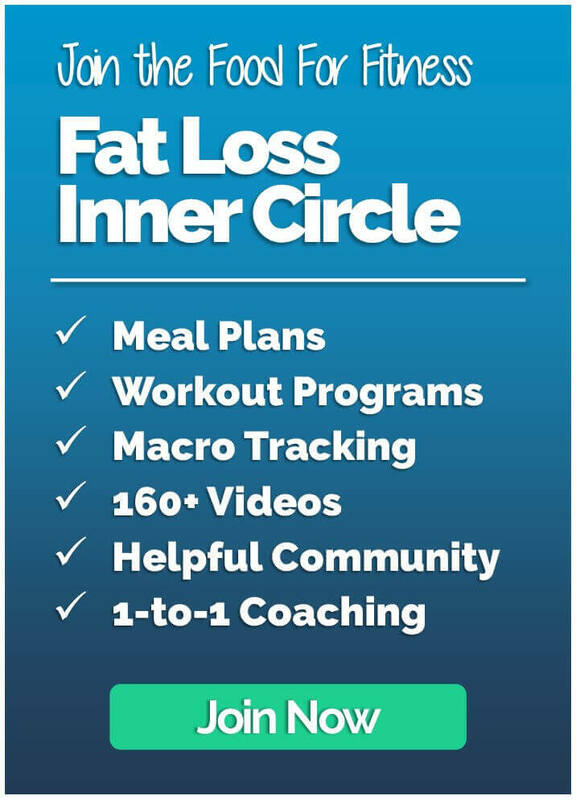 Now inside the inner circle, you’ll get meal plans, macro tracking programs, a range of workouts, exercise videos with your monthly mastermind and there’s a really supportive community. And it’s generally your one-stop shop for anything that you need to improve your body composition. If you want to join up the inner circle, just head on to the website foodforfitness.co.uk, and there’s a big button on the top right that says Join Now. And you can sign up and I can be coaching you pretty much the same day that you joined. I’m there. I’m waiting for you to join and yeah, hopefully I will see you inside the inner circle. If not, I will speak to you on the podcast next week. Thanks for listening. What is the right balance diet for children? Understand how teenagers look at diet at from a different perspective. Girls, often being worried about weight gain and boys, often become obsessed with protein. How does food advertising affects children’s perceptions of the food? Children have changed their lifestyles to an extent where they’re very much reliant on electronic entertainment and they’re sitting for long periods of time. In the old days, people were spending up to 30-40% of their income on food. Now that is down to 10% so the price of food as a proportion of our income has come down. That means, the treat food which people used to have once a week, they’re now having them more than once a day. Supplements should never replace your diet. For children within the young primary age, it’s about parental example. There’s no point in eating pizza and then asking your child to eat some salad. We should be limiting screen time because it’s not good for kids just to sit for hours with a screen. Not only that they are inactive and not doing something else, it’s a passive entertainment where they are not involved in.